Aranceto is a completely renovated 18th century ancient dwelling of Count Carretti, who gave the name to the street. 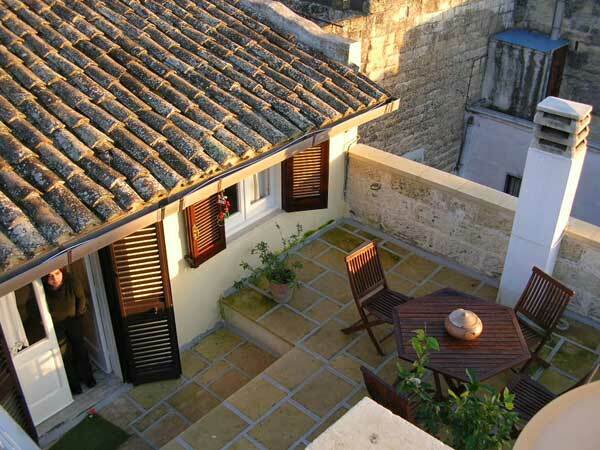 In the heart of the historic centre, close to the main monuments and places of the Lecce night life, and at a few km. from the beautiful beaches of Salento, the aranceto offers a unique and fascinating atmosphere. 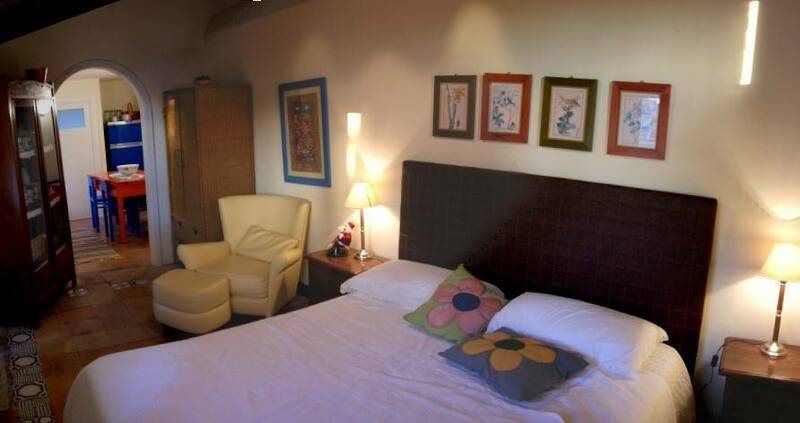 Its fully equipped double rooms and the small flat for up to three people finely furnished with a tasteful mix of old and modern touches are placed on the fully furnished terrace and on the first floor of the house. Its architectural details, the furnishings, the view on the orange garden and on the bell towers of the old town leave our guests with an unforgettable flavour of past times. Close to monuments, to Lecce night life, and also to the beautiful beaches of Salento, Aranceto has three fully equipped double rooms and a flat for up to three people on the terrace and on the first floor of the house. Two of the rooms have a view on the orange garden, where breakfast is served in spring/summertime on request. The flat on the terrace has a bathroom with a shower, kitchen, bed-room/living-room, air conditioning, tv and a large balcony/terrace (with a sweet/poetic view on bell towers and old roofs), where breakfast is served on request in spring/summer. Going downstairs there is a small double room with a fascinating semicircular vault, which has a view on the small street. The other two double rooms are on the first floor, one in particular has a romantic view on the garden through a small, Romeo-and-Juliet-like balcony. 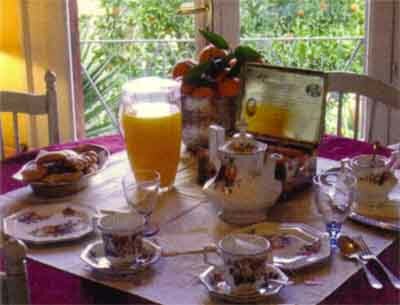 Continental breakfast include home made marmalade and fresh local products and Marcellos and Stellas advices on which beaches to go depending on winds! The owners are also very happy to cook dinners for their clients on request in july and august, which include the best local specialities and also on request asado, argentinian meat cooked in the typical asador in the garden, all accompanied by local, excellent red wine! "Aranceto" is very close to the main baroque monuments for which Lecce is famous and close to pubs and bars which make up an exciting night movida. Tennis courts are at a walking distance, while golf courts are some miles away. Beaches are relatively close (there are more than sixty beaches in the salento area! ), the town has a lively cultural life also in summer, Marcello and Stella will guide you to discover the secrets of hundreds of small, old villages through legends and myths, flavours and tastes which make a stay in Aranceto really unique and unforgettable. Aranceto has three fully equipped double rooms and a flat for up to three people on the terrace and on the first floor of the house. Two of the rooms have a view on the orange garden, where breakfast is served in spring/summertime on request. The flat on the terrace has a bathroom with a shower, kitchen, bed-room/living-room, air conditioning, tv and a large balcony/terrace (with a sweet/poetic view on bell towers and old roofs), where breakfast is served on request in spring/summer. Going downstairs there is a small double room with a fascinating semicircular vault, which has a view on the small street. 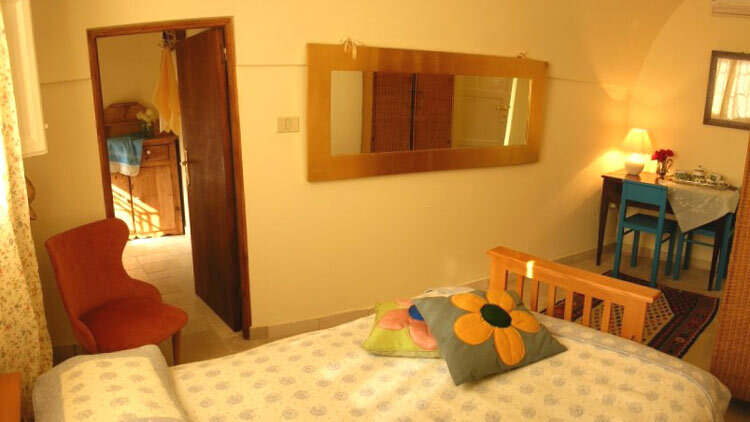 All rooms have air-conditioning, tv, private bathrooms, and the typical ancient vault of Lecce houses. Traditional restaurant with an excellent pizza! Once in Porta Rudiae (one the 4 ancient gates of the town) take "via manifattura tabacchi", at the end of it turn left, left again in "via dei Figuli", left, right in "via delle Giravolte, right.